For decades, people have been looking to the Toyota 4Runner when they need an SUV that’s tough enough for rugged activity yet handles well enough for family travel. In a world built for crossovers, the Toyota 4Runner is one of the last mid-size SUVs to share DNA with a pickup truck. That’s great for drivers who need a 5000-lb tow rating or spend weekends off-roading. Here at Toyota of Newnan, we believe in long-term relationships, and that’s why we’re proud to offer our Lifetime Limited Powertrain Warranty for all our vehicles, new and used. 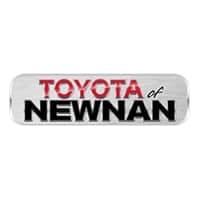 Newnan, Georgia is where you will find Toyota of Newnan, a leading Georgia Toyota dealer that is committed to providing our customers with both new and pre-owned Toyota vehicles. All of our vehicles are supported by a knowledgeable service center, sales team and financing team. The Toyota parts required by our customers are readily available from our dealership whether you live in Atlanta, Carrollton, LaGrange or Peachtree City. We are also an excellent place for an oil change. We are conveniently located at 2 Herring Road in Newnan, GA. It is a manufacturer recommendation that you should change the oil in your vehicle anywhere from every three-to-five-thousand miles. The engine in your car, truck or SUV constantly requires oil to run smoothly. Oil provides lubrication to the parts of your engine and prevents them from wearing down quickly. Lubrication also prevents friction, which can lead to parts breaking or even catching fire. When you bring your Toyota to our car dealerships in Newnan, GA, we will drain the oil and provide you with new oil so your car can run without any issues. If you want your car to run like it did the day you drove it off our lot, it’s imperative that you change the oil regularly. Visit our dealership today for an oil change at Toyota of Newnan, serving the Fayetteville area. You could be headed for quite a bit of trouble if your oil is not changed on a regular basis. The longer you drive your Toyota Corolla with low oil levels, the more friction occurs between engine parts. 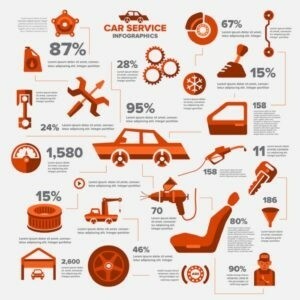 You can increase the chances of causing serious damage to your engine parts the longer this occurs. Old oil can build up a lot of grime and sludge, which forces the engine to work harder than it should to operate the vehicle. This burns more fuel, costing you more at the gas station. If you drive in a lot of traffic for work, this can only make the situation worse. Aside from an oil change, our experienced technicians at our car dealerships in Newnan, GA can also check your tires, change air filters and check belts for cracks. Whether you are in need of Newnan, GA Toyota service or happen to be in the market for pre-owned Toyota cars near LaGrange, Toyota of Newnan can lend a helping hand. Check our website for service specials as well as our pre-owned inventory. You can put your trust in us to keep your Toyota running just like it did the day you drove it off our lot.